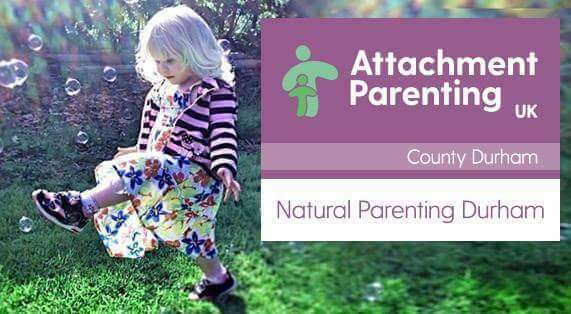 Natural Parenting, Durham – we are a small but growing online Facebook community of County Durham parents interested in attachment based gentler, natural ecologically concious parenting approaches – this does not mean we all parent the same, have it sussed or parent “perfectly” or “permisively” – indeed within our community we will have birthed differently, fed differently, played differently, travelled differently, we may live differently to each other but we may share similar ideals and a common goals. We also may respectfully disagree from time to time. Parenting should not be a competition – hopefully you will find acceptance ,inspiration and understanding here. We also try and meet up out of cyber space. County Durham is a wonderful place to raise children and has several well established sling libraries, LLL , breastfeeding groups and a cloth nappy library. It takes a village ♥️ Please request to join the group – our admin will assist you .